Want to make your mark on Texas History? That is, the history of the Texas Theatre? By joining the volunteer group known as the Friends of the Texas, you will make a lasting contribution to the future of our historic theatre. 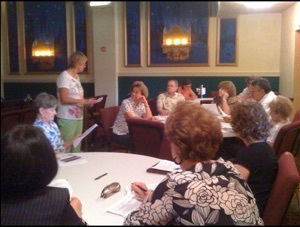 Friends of the Texas assist with various events and needs of the theatre. As representatives of the Theatre, volunteers insure a pleasurable and memorable experience for patrons. Our enthusiastic volunteers are Greg Ander, Karen Aufderhaar, Emma Jean Becker, Evelyn Bender, Brenda Block, Patricia Boenig, Sue Burden, Joan and Sergei Ceyanes, Donna Dellaria, Kristen Haener, Ann Hodges, Cassie Huck, Karen Huff, Kim Kauitzsch, Donna King, Deanie Knight, Alfrieda Leiter, Mary McDonald, Rita Mantooth, Amy Nelson, Elin Oelke, Bob and Cindy Pickett, Jan Quello, Norma Reese, Carolyn Sagebiel, Jenny Siltmann, Irene Sotello, Gene Vivroux, and Karen Vogel. For additional information call Barbara Sanders at 830-379-2004 or Marilyn Anderson at 830-379-5755. 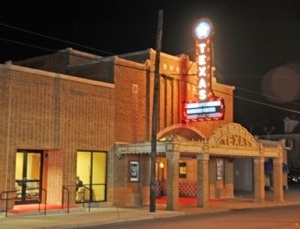 We look forward to working with you under the stars at Seguin’s newest treasure, the Texas Theatre.